There is an air of simplicity in the weddings trends for 2016, which feature effortless style, whimsical colours and only a touch of bling. The style oozes elegance, but with all of its striking grace there is also a relaxed feel that adds a whole new dimension. So what are these fascinating trends that you simply cannot ignore? Gold and copper have been dominating interior design over the last couple of years, and there is no sign of them losing their crown yet. These luscious precious metalhues, as well as other metallic favourites such as silver, bronze and rose gold, add a touch of subtle sophistication. Whether you are using them to add shimmer to your bridesmaids, sparkle to your nails or style to your reception, metallicsremain a key trend for 2016. For the first time ever, Pantone have released two shades for their colour of the year: Rose Quartz and Serenity. This symbolism of two as one is the essence of any marriage, so it is no wonder we are frequently seeing these crop up in the palettes of wedding schemes. 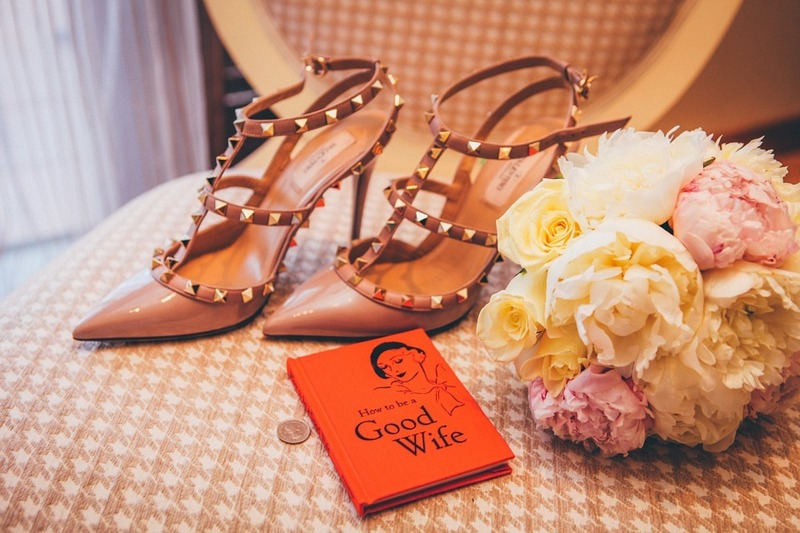 In 2016 couples are bringing a more informal feel to their evening reception. 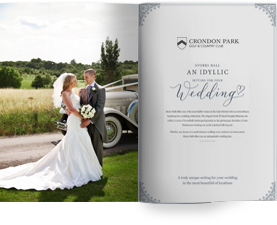 At Crondon Park we know how important it is to meet the needs of our brides and grooms, and our platters are certainly a popular addition to our menu, with choices such as our mouth-watering Hog Feast and a delectable selection of desserts, your guests willenjoy a wedding reception that stimulates all of their senses. We love seeing the creativity each of our couples adds to their wedding cakes, and this year we know we are going to be seeing cakes with a twist. From tiered cheesecakes to unusual wedding cake flavours, such as banoffee and raspberry, to unique and individual designs, the wedding cake has moved from being something traditional to an expression of the bride and groom’s taste and personality. Sticking with the tone of simplicity, decoration will also be more understated this year. Adding glamour through refined shades, feathers, rustic colours, and a minimal touch of bling are combined with greenery and foliage. Speaking of foliage, one trend that really creates that honeymoon feel is tropical botanicals, think exotic flowers and leaves – they are a great way to add colour, or for a more delicate look, use whites and greens. Our beautiful period rooms provide the perfect venue backdrop for any décor design. More than ever before, couples are putting an increasing amount of thought into lighting for their wedding. From chandeliers, letter lights to festoons, lighting is no longer an after thought.